Who are you going to have your next conversation with? Indulge in the art of conversation this week 19th – 25th March. 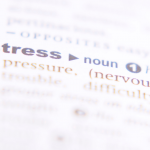 Have you heard the phrase “It’s been far too long” or “I was meaning to get back to you”? 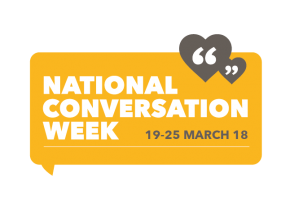 Well, National Conversation Week is all about the joys of talking to someone face to face. Some of us may feel this is just a tad old fashioned in our age of internet and mobile phone, but sometimes just a good old natter over a cupper with a friend or meeting an old pal just by chance on a shopping trip is still something we can all appreciate. Indeed, for someone feeling lonely, a bit of a friendly chit-chat could help make the day more colourful. So make the effort, reap the rewards.